Here’s the new canvas offer! Just in time for Father’s Day! Canvas People has a new deal for us! The deal is valid only through 6/4 (or 6/6 if you pay for Priority shipping), so order asap! 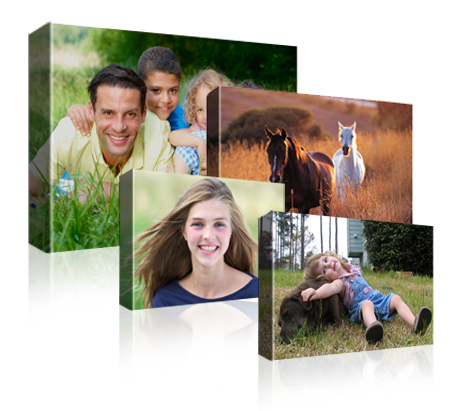 You can score 85% off ANY canvas, any size and + shipping! Prices start at just $7.50 and you can get the massive 20 x 48 for just $21, which is incredible! Shipping starts at just $14.95. The discount will show up automatically when you use the links above. These make awesome gifts and Canvas People offers high quality prints. Enter to Win a $500 Kohl’s Gift Card from Rewards 4 Mom! Who doesn’t love Kohl’s?! You can’t walk out of that store without spending more than you planned.. it’s like Costco! https://savvywifehappylife.com/wp-content/uploads/2016/09/SavvyWifeHappyLife-logo-2.png 0 0 Brandi https://savvywifehappylife.com/wp-content/uploads/2016/09/SavvyWifeHappyLife-logo-2.png Brandi2013-05-31 09:29:362013-05-31 09:29:36Enter to Win a $500 Kohl's Gift Card from Rewards 4 Mom! Sign up for Plink today, make a minimum $10 purchase at McDonald’s by Sunday, 6/2 11:59 EST, and they’ll give you 1,000 Plink Points – enough to redeem for a $10 Gift Card of your choice at places like Amazon.com, Target, Walmart, Kohls, Starbucks and more! Visit one of Plink‘s 50,000 locations nationwide and spend at places like Old Navy, Gap, Burger King, Taco Bell, 7-11, Regal Cinemas and more! This week we will be getting 4 inserts: A SmartSource, a RedPlum, a P&G and possibly a Target P&G! Make sure you take a look at the preview to determine how many papers you want to purchase. Keep in mind, the Target P&G will be regional so don’t count on it being in your paper! If you’re interested, try to pick up a larger paper (like the Washington Post) because you’ll have a better chance of seeing it in there. Sign Up for Gift Hulk (Rewards Site for Amazon Gift Cards)! You get 50 Hulk Coins by signing up through this link. You only need 439 Hulk Coins to cash out for a $5 Amazon Gift Card! The thing I like the most about Gift Hulk is that there are so many ways to earn points, like Swagbucks and SuperPoints combined! Also, instead of always winning Hulk Coins, you also win prizes (like Amazon gift card codes) for doing the easy tasks and I think that adds some more fun to it all! If you love Swagbucks, I say give Gift Hulk a try! You’ll be able to figure it out right away and start earning! If you aren’t fans of the other rewards sites, I still recommend you give Gift Hulk a try. There are many ways to win and the incentives are good! https://savvywifehappylife.com/wp-content/uploads/2016/09/SavvyWifeHappyLife-logo-2.png 0 0 Brandi https://savvywifehappylife.com/wp-content/uploads/2016/09/SavvyWifeHappyLife-logo-2.png Brandi2013-05-31 09:13:292013-05-31 09:13:29Sign Up for Gift Hulk (Rewards Site for Amazon Gift Cards)! https://savvywifehappylife.com/wp-content/uploads/2016/09/SavvyWifeHappyLife-logo-2.png 0 0 Brandi https://savvywifehappylife.com/wp-content/uploads/2016/09/SavvyWifeHappyLife-logo-2.png Brandi2013-05-31 09:09:432013-05-31 09:09:43It's Mega Swagbucks Day! Get Free Amazon Gift Cards! York Photo: 10 FREE Graduation Announcements and 40 Prints! Here’s a super deal for you grads! Congratulations, by the way! York Photo is giving you 10 FREE Graduation Announcements and 40 free prints (new members only). Just use code MY GRADUATION. Deal ends on June 2nd. Shipping cost is just $3.49! https://i0.wp.com/savvywifehappylife.com/wp-content/uploads/2013/05/Screenshot-2013-05-29-at-10.57.56-PM.png?fit=803%2C292&ssl=1 292 803 Brandi https://savvywifehappylife.com/wp-content/uploads/2016/09/SavvyWifeHappyLife-logo-2.png Brandi2013-05-29 22:59:012013-05-29 22:59:01York Photo: 10 FREE Graduation Announcements and 40 Prints! Zulily: Huge Discounts on Birkenstock Footwear! Sign up for Zulily to see the new Birkenstock sale! The prices are very discounted and favorites are selling out quick. Prices start at just $29.99 and retail prices are around $220, so lots of deals available! https://i0.wp.com/savvywifehappylife.com/wp-content/uploads/2013/05/Screenshot-2013-05-29-at-9.58.24-PM.png?fit=360%2C405&ssl=1 405 360 Brandi https://savvywifehappylife.com/wp-content/uploads/2016/09/SavvyWifeHappyLife-logo-2.png Brandi2013-05-29 22:01:482013-05-29 22:01:48Zulily: Huge Discounts on Birkenstock Footwear! Amazon: Dirty Dancing 20th Anniversary Edition BluRay just $4.75! Check out this great deal on Amazon! Grab Dirty Dancing (20th Anniversary Edition) [Blu-ray] for just $4.75 on Amazon! Shipping is FREE for Amazon Prime members. Everyone loves this movie! Makes a great gift too. Thanks, Confessions of a Dealaholic! https://savvywifehappylife.com/wp-content/uploads/2016/09/SavvyWifeHappyLife-logo-2.png 0 0 Brandi https://savvywifehappylife.com/wp-content/uploads/2016/09/SavvyWifeHappyLife-logo-2.png Brandi2013-05-29 21:26:002013-05-29 21:26:00Amazon: Dirty Dancing 20th Anniversary Edition BluRay just $4.75! For a limited time, York Photo is offering up a FREE 11 oz. Personalized Mug ($9.99 value)! This would make a great Father’s Day gift. Just enter code MYMUG at checkout. You will have to pay the shipping cost ($5.99), but that’s still a great deal on a custom mug! Offer ends May 31st. New customers only! https://savvywifehappylife.com/wp-content/uploads/2016/09/SavvyWifeHappyLife-logo-2.png 0 0 Brandi https://savvywifehappylife.com/wp-content/uploads/2016/09/SavvyWifeHappyLife-logo-2.png Brandi2013-05-29 20:54:322013-05-29 20:54:32York Photo: Free Custom Photo Mug (Just Pay Shipping)!